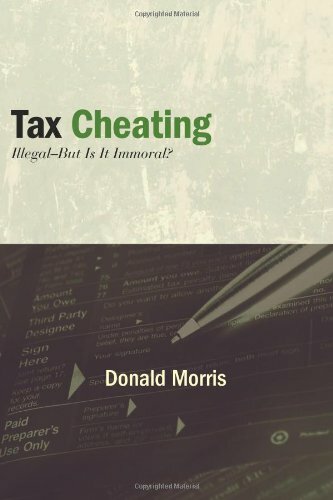 University of Illinois Springfield Accountancy Professor Donald Morris’ book Tax Cheating: Illegal--But Is It Immoral? was recently honored with the silver award by ForeWord Reviews in the political science nonfiction category for 2012. ForeWord Reviews’ 15th annual Book of the Year Awards finalists were selected from 1,300 entries covering 62 categories of books from independent and academic presses. These books represent some of the best books produced by small publishing houses in 2012. Morris’ book examines the ethical issues surrounding tax cheating and implications for public policy. From unreported gambling winnings and inflated claims of the value of clothing donated to charity to money hidden in Swiss bank accounts and high-profile tax schemes plotted by celebrities and business leaders, the range of tax cheating opportunities is wide and the boundaries and moral status can be hazy. Considering the behavior of individuals and small businesses as well as the involvement of congress and the IRS, Morris combines insights from law, psychology, sociology, criminology, accounting, economics, and philosophy to examine the ethical issues surrounding tax cheating and implications for tax policy. A panel of sixty judges, librarians and booksellers only, determined the winners. Gold, Silver, and Bronze awards, as well as Editor’s Choice Prizes for Fiction and Nonfiction, were awarded during the American Library Association (ALA) Annual Conference in Chicago on Friday, June 28, 2013. Morris’ book was published in June 2012 by the State University of New York Press. It is available in hardcover, paperback, and can be downloaded as an eBook. For more information, visit www.sunypress.edu/p-5503-tax-cheating.aspx or contact Morris at dmorr2@uis.edu. 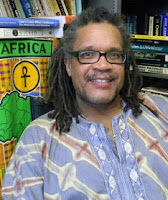 Dr. Kamau Kemayo, associate professor of African-American Studies and associate director of the Whitney M. Young Graduate Fellowship Program, has been invited to participate in a National Endowment for the Humanities Summer Institute for College and University Teachers. The title of the institute is “Don’t Deny My Voice: Reading and Teaching African-American Poetry.” It will be at the University of Kansas for three weeks starting July 14. Kemayo is one of 25 faculty from across the country accepted into the institute through a competitive process. The NEH awards stipends to participating faculty to cover travel, books, research expenses, and living expenses. The program is designed primarily for teachers of American undergraduate students.